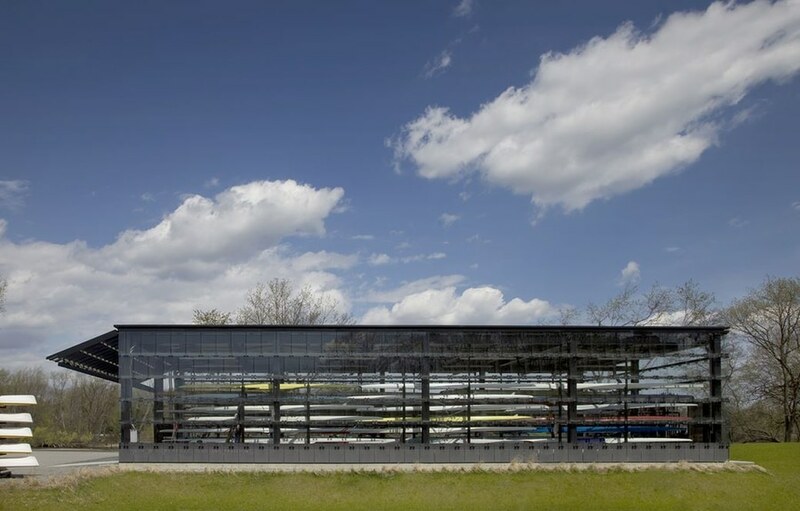 This boathouse for Community Rowing, Inc. (CRI) creates a new facility for the largest rowing organization in the country. 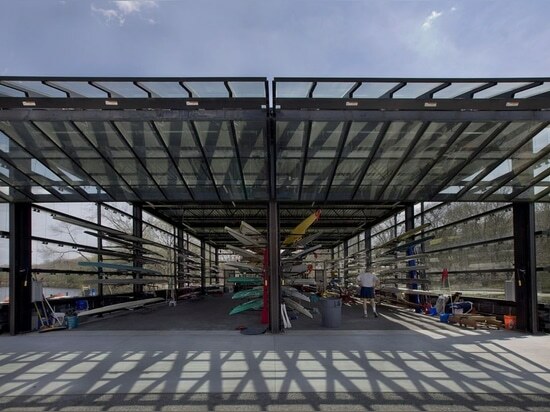 CRI supports more than half of the rowers on the Charles River and provides equipment and instruction for rowers at all skill levels, including innovative programs for girls in the Boston Public Schools, and Adaptive Rowing for the physically disabled. 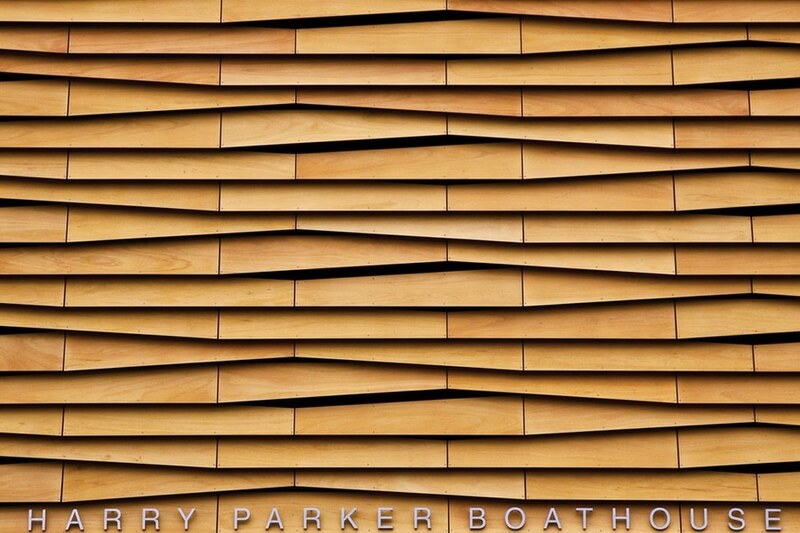 This new building occupies a site along the Charles that establishes a bookend to the river’s collection of historic boathouses. 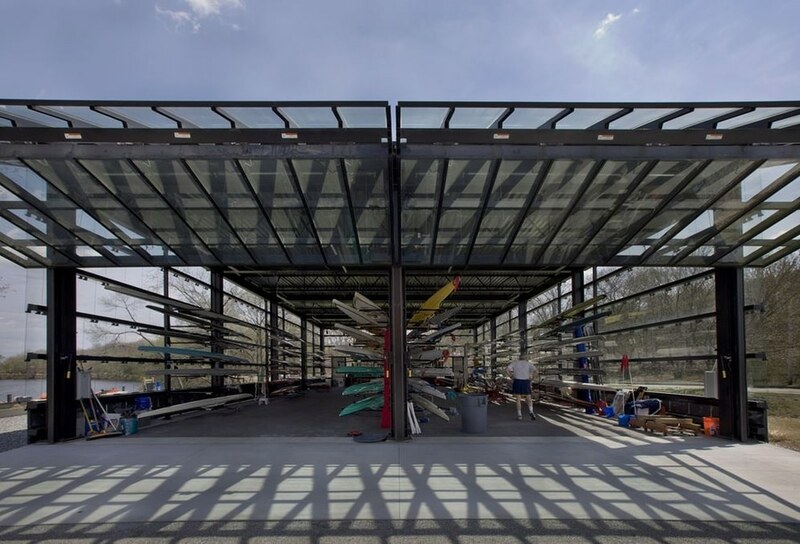 This facility is composed of two buildings that form a common space between them, creating both a gateway to the river and a staging terrace for the boats. 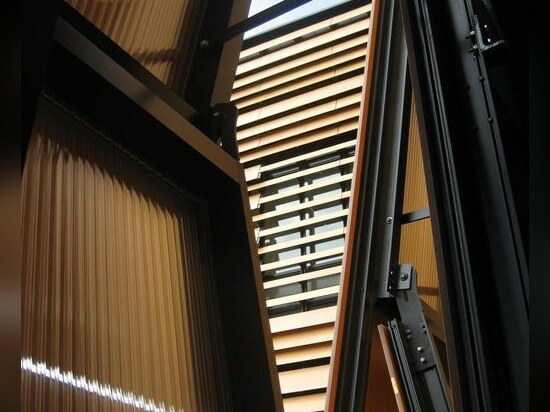 The smaller of the two buildings is a glass pavilion for the single shells. 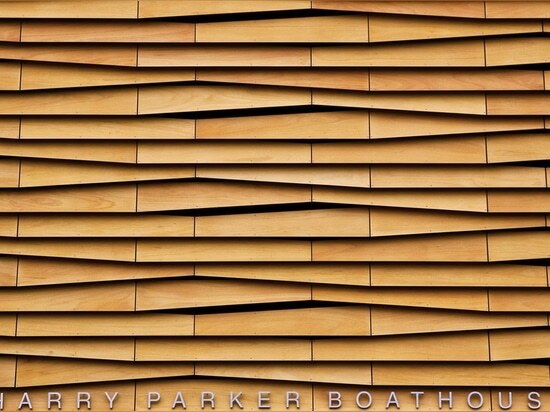 Its transparency allows for a unique perspective on the boats during storage and can be viewed from the adjacent footpaths and roadway. 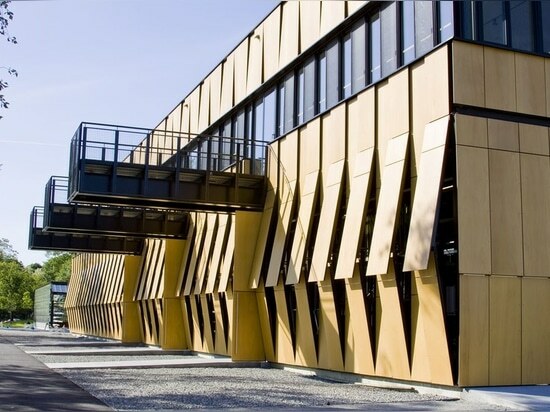 The main building holds four-person and eight-person shells on the ground floor, and contains administrative offices, and coaching and weight rooms on the second floor. 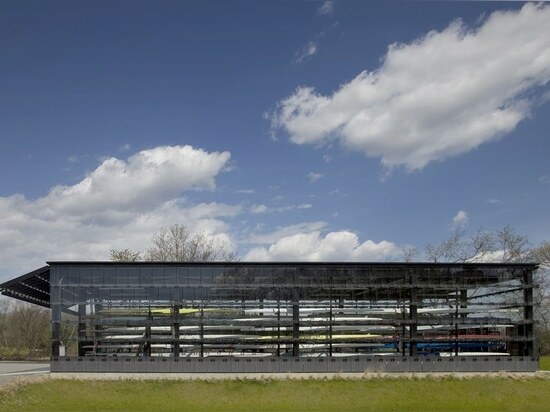 The “core” of the building — stair, elevator, mechanical, boat repair, and locker rooms — is a sidecar volume whose separation from the primary spaces allows boat storage and support space to be open and flexible. 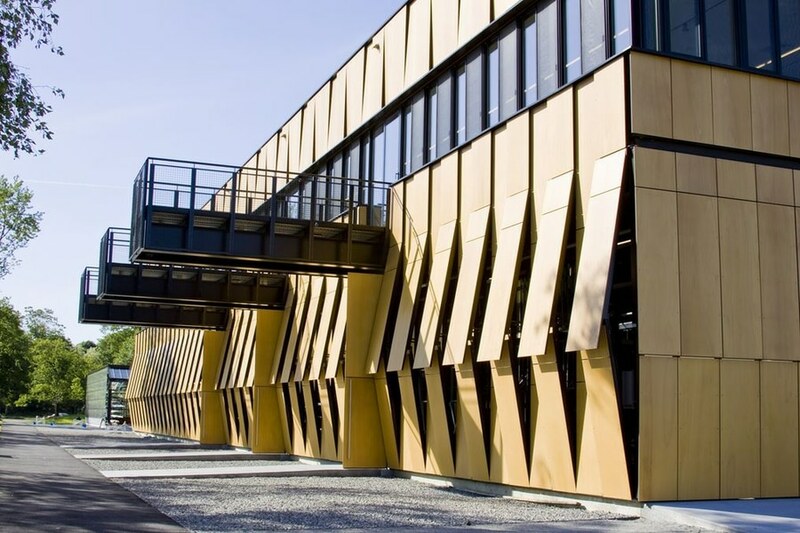 The main building’s skin is comprised of composite panels of phenolic resin and wood veneer, and is durable, lightweight, and natural. 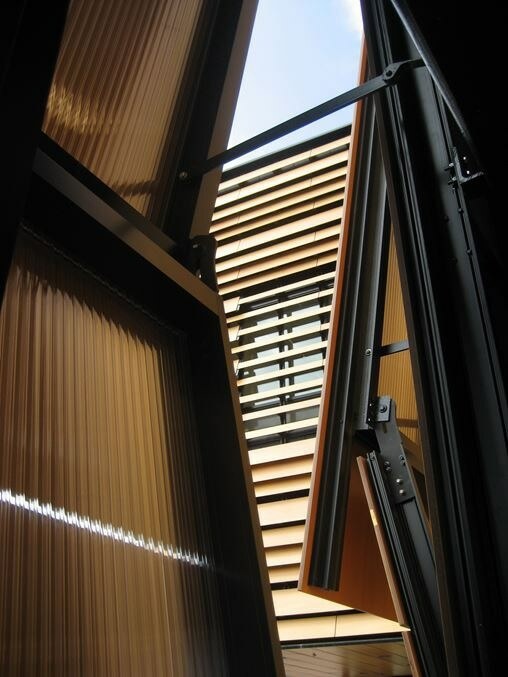 The panels operate as louvers, opening and closing to naturally ventilate the boat storage and provide both functionality and energy efficiency. 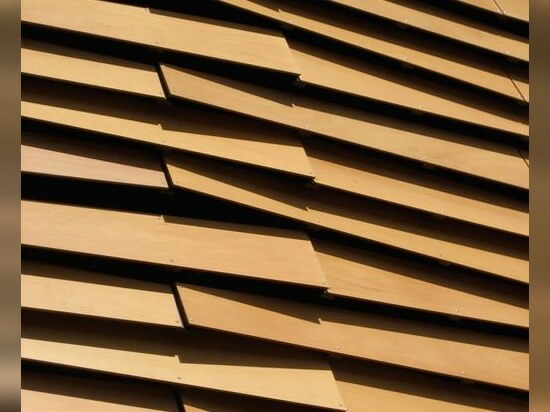 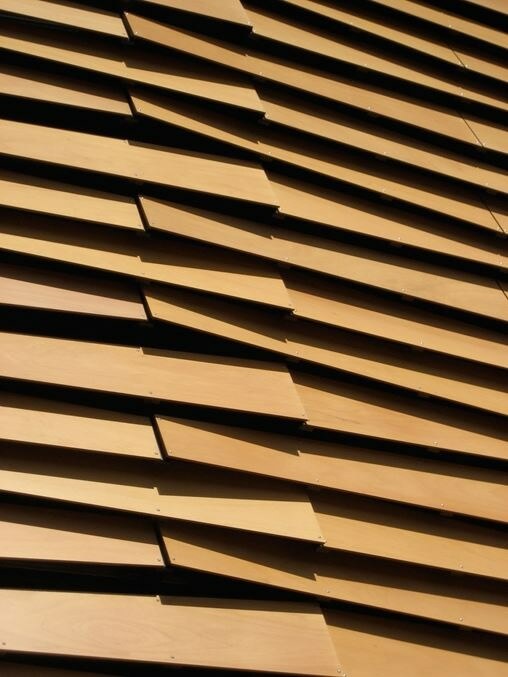 The louver system is also highly iconic of New England’s traditional covered bridges and tobacco barns, reflecting their proportions and cladding, and anchoring this new building more strongly to its environment.